The 3:00 PM dismissal bell sounds, signaling the end of a tiring day for most students at Colts Neck High School, but for Drama Club, it’s the sound of the next several hours that will be spent singing, dancing, running lines, and doing whatever else necessary to put on a perfect show. As other students rush out the door and onto their buses headed for home, the drama kids promptly file into the school auditorium, buzzing with excitement and ready to rehearse. I had the opportunity to interview Matthew Buneta, a sophomore at CNHS and an active member in Drama Club since his freshman year. His responses to my questions hinted at their upcoming spring production, ‘Big Fish’, in which he himself plays the role of ‘Mayor of Ashton.’ However, during the interview, he was more so focused on describing the warm atmosphere that Drama Club continuously promotes, in hopes of effectively communicating the joy and emotion it brings him. Possibly the most unique thing about Drama Club, is that every single production fosters a tightly-knit family, sealed together by valuable on-and-off stage experiences. From Matt’s perspective, the club is an escape from the daily, academic pressures of school. Behind closed doors, the cast and crew work for hours on end, but at their own fervent desire to do so, making it all the more genuine. Drama Club has and continues to designate up to three hours of daily after-school ‘rehearsal time.’ The students are expected to show up to these practices and fulfill their duties – and there’s a lot. Chorus Days, Choreography Days, Volunteer PR Days, Blocking Days, and the list goes on and on (and this is in addition to what they do outside of school, such as memorizing lines)! Only a handful of CNHS students and staff are aware of the immense amount of work, time, and money that goes into crafting even a single show for our school’s enjoyment. 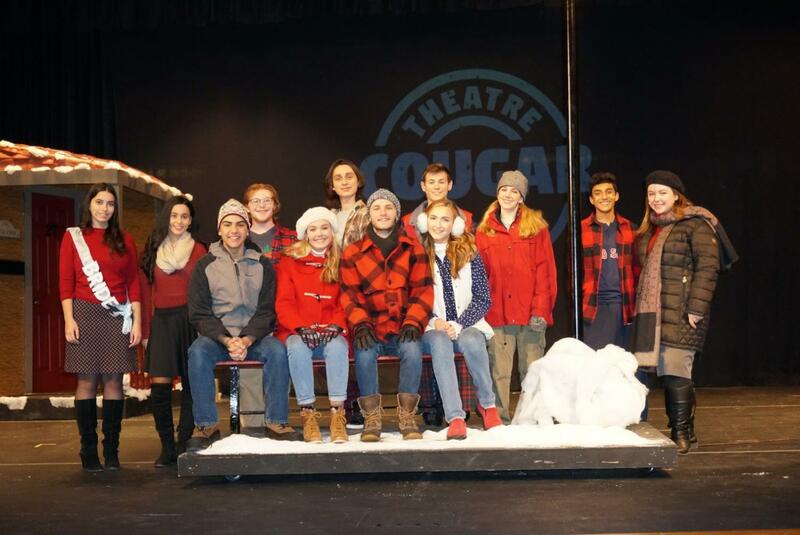 Nonetheless, the Drama Club and Cougar Theatre Company are happy to do it, for they love doing what they do and draw their motivation from the busiest of schedules. No doubt, the kids are exhausted, having spent weeks on end rehearsing and currently tackling preparations for the spring play. But still, they keep at it, and savor every moment of the “Beautiful Journey.” Perhaps this ‘beauty’ Matt described lies on this basic level: just a group of like-minded kids, using their common talents and creativities to reach a greater goal.